* After iOS upgrade or iPhone jailbreak, you can't find some data on your AT&T iPhone. The list is endless. Whatever the reason is, we all need to figure a way out to restore AT&T iPhone. I've done some searching job with my colleagues and we conclude two easy ways to do AT&T iPhone restore. This method focuses on how to restore AT&T iPhone from iTunes backup using iTunes Data Recovery, a tool that extracts iTunes backup files for iPhone, iPad and iPod. It could quickly and accurately restore AT&T iPhone from backup and make it possible for us to view iTunes backup files which are original SQLITEDB files that cannot be read on our computer. In order to use this tool to restore AT&T iPhone from iTunes backup we need nothing but iTunes backup file. After download and install iTunes Data Recovery on your computer, launch it. The tool will then find iTunes backup file automatically once you backed up or synched your AT&T iPhone with iTunes on your computer. Choose your AT&T iPhone backup and press "Start Scanning". After scanning, you will find all backup files listed according to their categories. You need to preview the exact ones and then check them. Finally press "Recover" and then select a path to save restored data. With these steps, we could restore AT&T iPhone SMS, safari, reminder, etc. as well. And you could use these restored files to restore AT&T iPhone backup to Verizon iPhone. For Mac users it is also the same steps if you want to restore AT&T iPhone to Mac. However the iTunes backup files should be in the Mac PC or you will have to transfer the backup file to your Macbook. Some people just do not have the habit to back up iPhone, and consequently they have no iTunes backup files in their computer. In this case the first won't work. Good news is that if they still have their iPhone with them, they could directly restore AT&T iPhone photos, contacts, messages and other personal information without backup by using an iOS data recovery tool called iPhone Data Recovery. After download and install iPhone Data Recovery, connect your AT&T iPhone to computer through USB cable. Connect your iPhone with your computer, and you will see the interface changed to one with "Start Scan" on the bottom. Click this button to perform scanning. 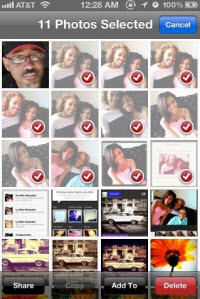 After scanning you could view contacts, SMS, voice memo, call history, calendar and so forth. At last click "Recover" to restore AT&T iPhone 5, 4S, 4 and more when you lost data from iPhone. 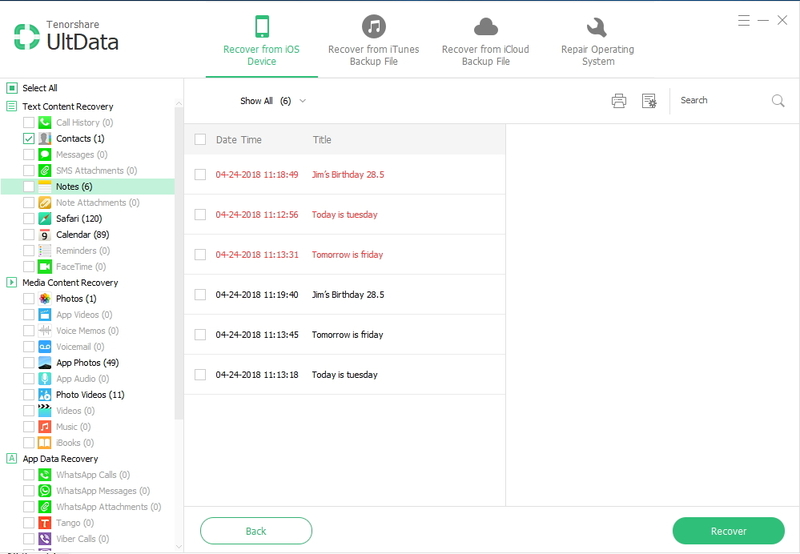 If you have ever backed up your iPhone with iCloud before, fortunately you can use this software to restore data on iPhone from iCloud backup. Here's how. 1. Login in iCloud Account. 2. Select and download iCloud backup. 3. 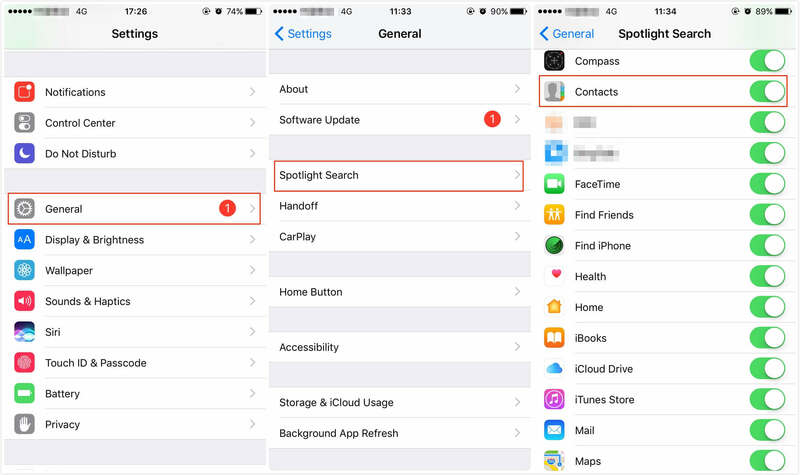 Preview and recover deleted files on iPhone. In addition iPhone Data Recovery could also help to restore AT&T iPad mini, iPad with Retina display and the new iPad, just like the way it helps you restore AT&T iPhone 5.